I had the opportunity last week to chat with Dr Bruno Walther, an ecologist who specializes in birds as well as global biodiversity issues. He teaches environmental science and evolutionary and ecological medicine at Taipei Medical University and works for the Taiwan Endemic Species Research Institute (TESRI), which many of you have probably noticed on your way up to Puli and points beyond. 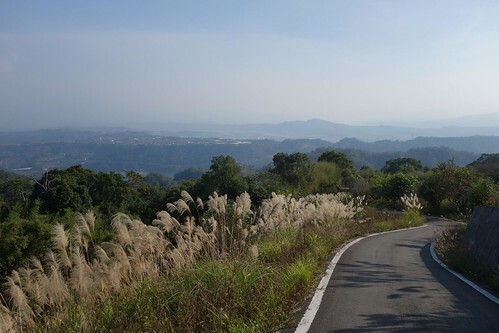 At TESRI, Dr Walther studies bird distributions in Taiwan and how they can be used to improve the networks of protected areas in Taiwan for an NSC-funded project. "Some birds are well protected in parks and similar areas," Dr Walther said, "but others need more protection." Using birds instead of other animals to improve conservation areas in Taiwan has a couple of advantages, he noted: the data is better, and the popularity of the animals is high. "Birds are a flagship species that people can identify with and are familiar with," he pointed out. A secondary interest of Dr Walther is invasive species. As an example, he mentioned the Red-whiskered Bulbul. It occurs naturally in India and SE Asia, he explained, but not in Taiwan. It is, however, seen here regularly. It appears that people are introducing them sometimes just because they like them, or because they are dumped, or perhaps during "prayer releases." Some Buddhists score karma points by releasing caged animals into the wild; they often do so without regard for local ecosystems. "They even capture animals just to release them again," sighed Dr Walther. 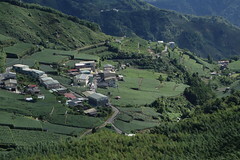 TESRI's role, Dr Walther said, is to research the biodiversity of Taiwan, from plankton to fishes to plants to birds. It also has a big educational role, with exhibitions that are a favorite target of visits for many schoolchildren, but also adults. I asked Dr Walther what kinds of environmental problems he sees as particular to Taiwan, but he answered that "most problems here are the same as elsewhere. The development model is the same as all over the world -- habitat destruction, pollution, climate change, invasive species, overuse of water, soil erosion, and general overuse of resources." A major issue of concern for Taiwan is fisheries collapse and ocean management, as Taiwan is a major contributor to overfishing of the oceans. 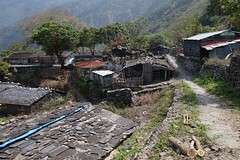 He continued, "specifically, in Taiwan, because of the steepness of its mountain slopes and the frequency of typhoons, the process of pushing agriculture up into the mountain ranges, a now common practice everywhere in the world, is especially destructive." 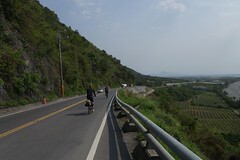 Because Taiwan has so much development, almost no natural habitat is left in flat areas, so the government should encourage the reconversion of some lowland areas back to their original state, he suggested. What advantages does Taiwan have in changing its developmental model? I asked. 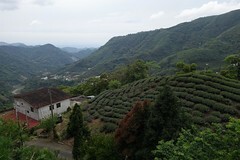 Dr Walther answered that Taiwan has mountains so steep that they resist development and would be better used for conservation, ecotourism and protection of soil and water. The growth of both a leisure culture and an educated population should foster a development towards a more sustainable use of the landscape. He said he was always surprised, when he goes up into the mountains, by how many people there are. That indicates that people are starting to take quality of life issues more seriously, not just the amount of money they take home. He said that recently Taiwan has begun a bird census for the whole nation, and established "constant effort" sites where people regularly go to count birds and other species. This working together of scientists and amateur birdwatchers also indicates that the society is maturing towards one more interested in pursuing interests outside of just work, such as enjoying nature in “all its multifaceted splendor”. Taiwan also appears to have plenty of technical know-how. "The potential is there if the government wants to invest into sustainable high-tech projects," he observed. With the right investments, he added, Taiwan could move ahead in rapidly emerging fields such as renewable energies, recycling or bio-engineering. Unfortunately, it appears that even China is ahead of Taiwan in some of these areas. (see his letter). "The island is almost ideally placed for a strong renewable energy industry, but it also needs to take energy savings much more seriously," he concluded. Despite interests in various environmental topics, Dr Walther's main interest remains biodiversity. 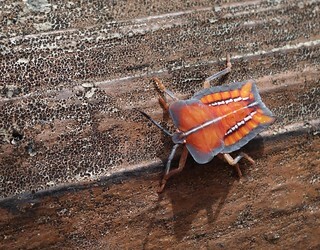 His PhD thesis at Oxford University was on the ectoparasites of birds, "so I started with very small organisms and then worked up to global environmental problems," he said. From 2007 to 2009, he worked with Diversitas in Paris, an organization that works on stimulating research on biodiversity and conservation policies, and then translating academic work into accessible and readable reports that policymakers need. It was they who participated in the recent report on the coming mass extinction that has been in the news recently. "Business as usual," he said, "means probably 50-80% of all species will go extinct by the end of the century." Dr Walther worked for DIVERSITAS on efforts to find new species, identify genetic diversity within species, and monitoring and modeling changes in biodiversity. Dr Walther is developing a new website of videos with some of the leading scientists in the world being interviewed about the threat to and the value of biodiversity, to further encourage people taking species and ecosystem conservation seriously, Crisis of Life. 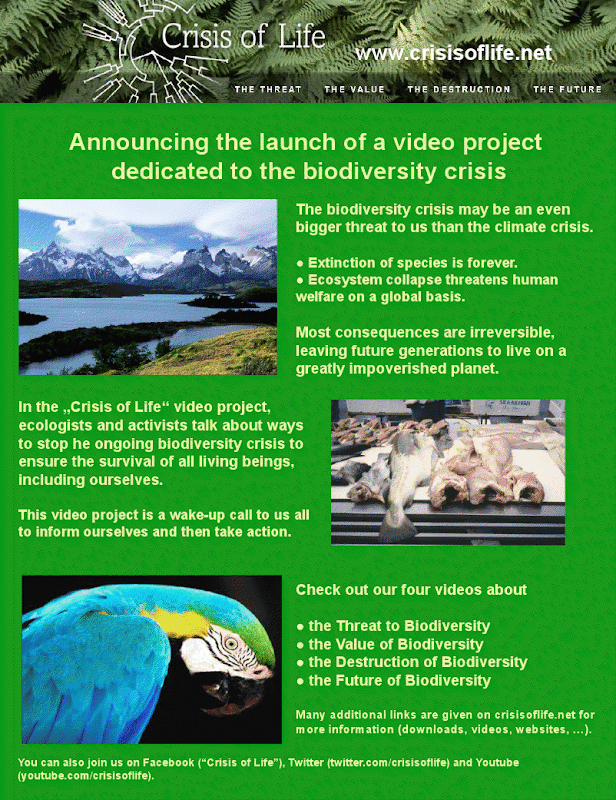 The website Crisis of Life consists of videos made by Dr Walther and the Taiwan-based journalist Klaus Bardenhagen in which they interviewed scientists about the biodiversity crisis. The videos were professionally edited by a team of German video journalists, and the website is now filled with useful and informative content, perfect for educators and the interested public. It consists of four parts: crisis -- an overview of the crisis and how biodiversity fits into it; value -- why we should value biodiversity; destruction -- that has and will happen; and solutions. "The sad truth is that we have plenty of solutions, but they don't get implemented. It could all be done with available technology and better policies and management," he explained. "We need a new focus on quality of life, a focus which includes the preservation of all life forms, so that from that grows a new sustainable concept of how to build an economy, one not based on just growth, but the kind of sustainable growth which improves our lives and our environments." China Post points out that for $$ from international film cooperation, China will need to stifle its Jiang Pings. Ben with an awesome, picture-filled report on the labor union protest at Songshan Airport. Barack Obama's former campaign manager is completely clueless. No wonder everyone compares Americans to children. TVBS poll has Chu over Tsai in Xinbei by 4%. If TVBS follows its usual pattern, this one is going to be really close. Wasn't ECFA supposed to revive manufacturing? Taiwan is a good place to develop renewable energy technology, but it is a difficult place to deploy it simply due to population density. The most storage of energy is in the trees, however, the problem is always how to convert the form of energy into what we can use. Perhaps a more biological means of conversion is the way to go if technology is up to it.